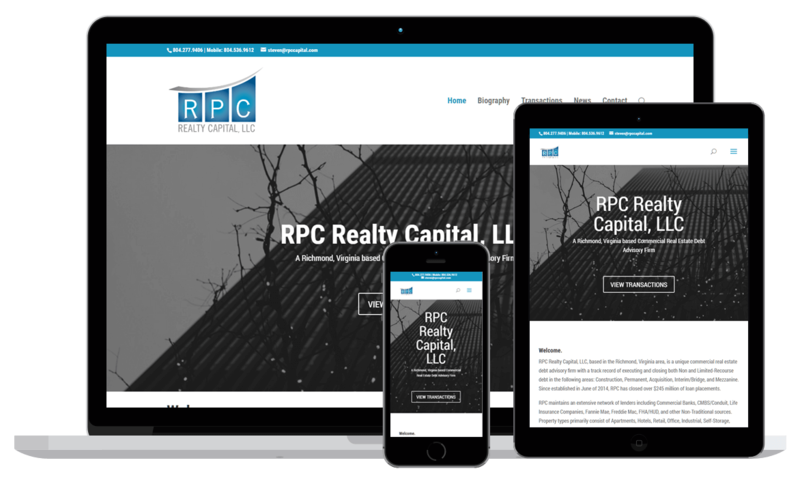 RPC Realty Capital, LLC - WebWorx, Inc. The launch of our latest project, RPC Realty Capital, LLC. RPC Realty Capital, LLC, based in the Richmond, Virginia area, is a unique commercial real estate debt advisory firm with a track record of executing and closing both Non and Limited-Recourse debt in the following areas: Construction, Permanent, Acquisition, Interim/Bridge, and Mezzanine. Since established in June of 2014, RPC has closed over $300 million of loan placements. Our basic startup Divi WordPress package that is affordable for small businesses just starting out or businesses that do not have a lot of content. Free images from Unsplashed that are royalty free and spectacular for those who are on a tight budget. You can view the website at RPC Realty Capital LLC.